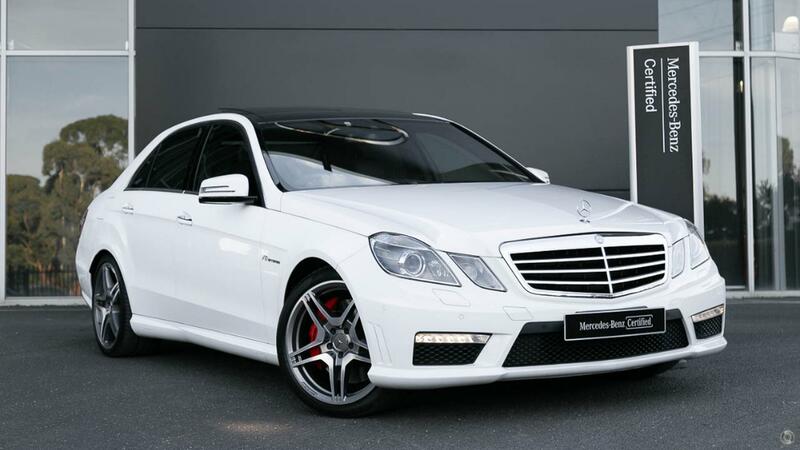 Australia's Most Awarded Mercedes-Benz Retailer proudly presents this exceptionally low kilometre E63 AMG 5.5 Litre Bi-Turbo V-8 "AMG Performance Package." Highly specified and perfectly presented in pristine Polar White over designo Extended Leather Equipment for E63 AMG in Anthracite featuring AMG Performance Package with engine modifications resulting in 24 kW and 100 Nm output increase, Tyre Pressure Monitoring System and AMG 19-inch 5-twin-spoke alloy wheels, all with the assurance of 2 Years 100% Mercedes-Benz Factory-Backed Warranty & 2 Years Mercedes-Benz Roadside Assistance Applicable Australia-Wide. Take the wheel of your incredible, one-of-a-kind E63 AMG with absolute confidence - ONLY from a Certified Mercedes-AMG expert and the reigning "Mercedes-Benz Metropolitan Retailer of the Year" again, for the 5th time in 6 years! - Performance engine modifications resulting in 24 kW and 100 Nm output increase. - Instrument panel upper section and door beltlines in black designo leather. - Sports pedals and footrest in brushed stainless steel with rubber studs. - "V8 Bi-Turbo" lettering on front wings. - TV tuner with digital TV reception. - Roof trim strip painted in vehicle colour.